Three weed rap kings unite for "420 (Blaze Up)." The official holiday may have been a few days ago, but these three are obviously abiding by the old Nate Dogg adage. In fact, you won't find three more seasoned smokers than Snoop Dogg, Wiz Khalifa, and Devin The Dude. The kushed-out trio appears on a new track entitled "420 (Blaze Up)." The song is an ode to the ritual of blazing and everything it represents. The Snoop-led collab is taken from the newly released soundtrack to the new DJ Pooh-directed film Grow House, which stars De'Ray Davis, Lil Duval, and Snoop himself. 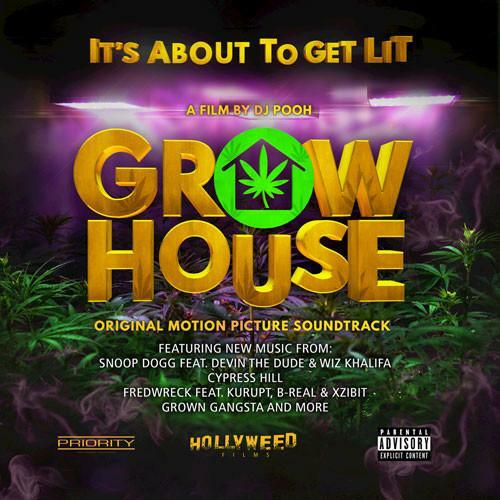 Check out the rest of the soundtrack here, and watch the Grow House trailer below.